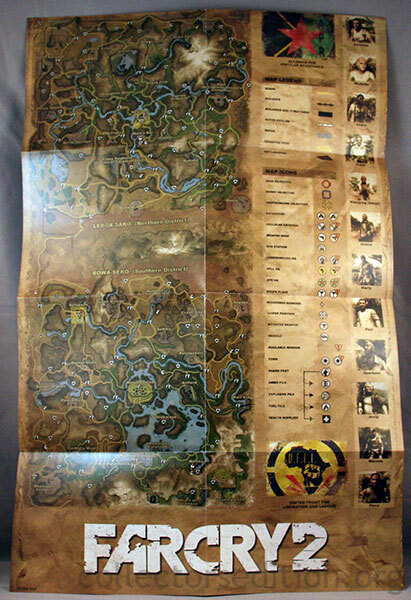 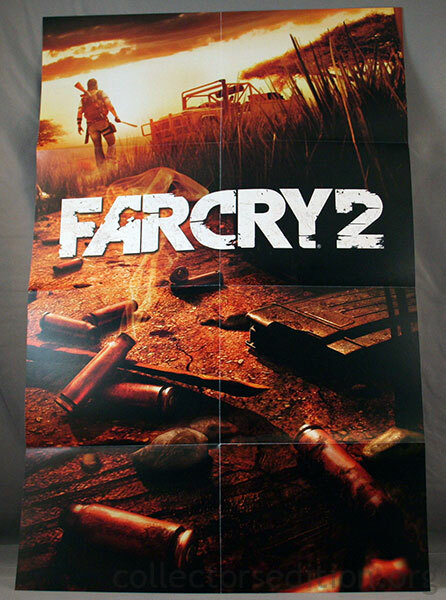 The GameStop Pre-Order Edition of Far Cry 2 comes in a keep case with a cardboard sleeve and includes a code for 6 bonus missions (3 hrs of game play) and a full-size fold-out map opposite a Far Cry 2 poster. 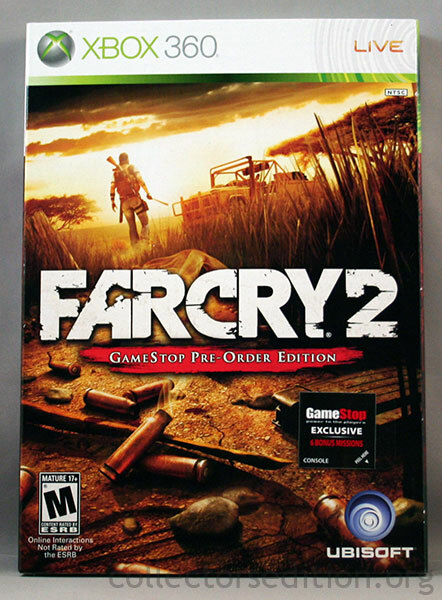 The GameStop Pre-Order Edition of Far Cry 2 is available only to those who pre-order it through GameStop stores. 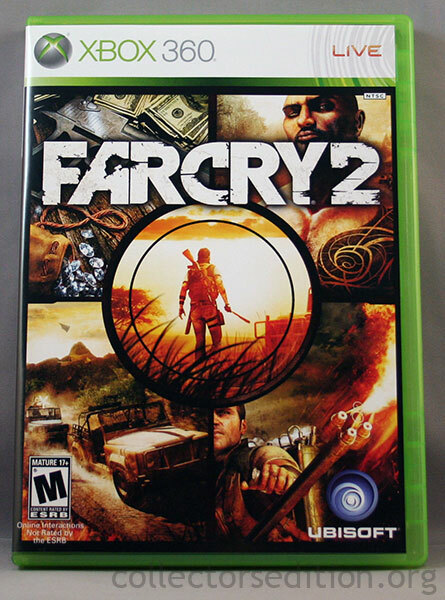 All Pre-Orders of Far Cry are automatically upgraded to the Limited Edition. 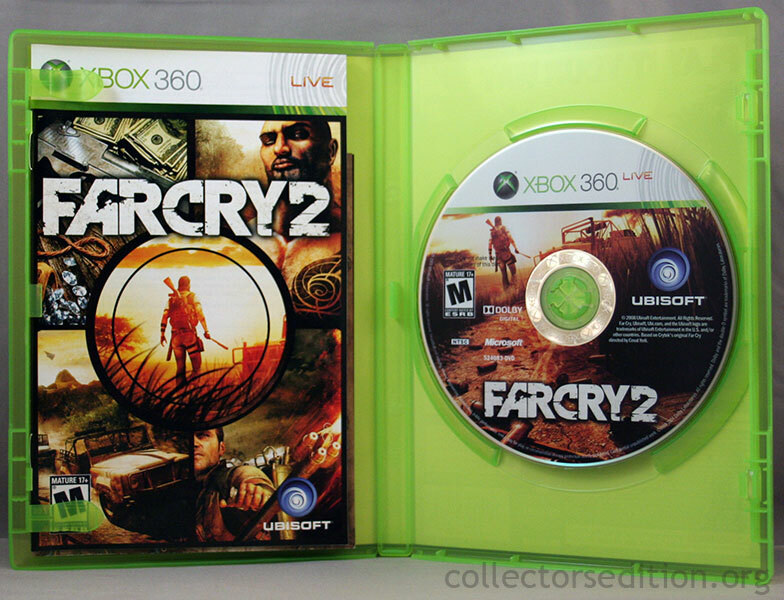 This entry was added to the database on Sunday, September 28th, 2008 at 11:35 am by Michael Pica. 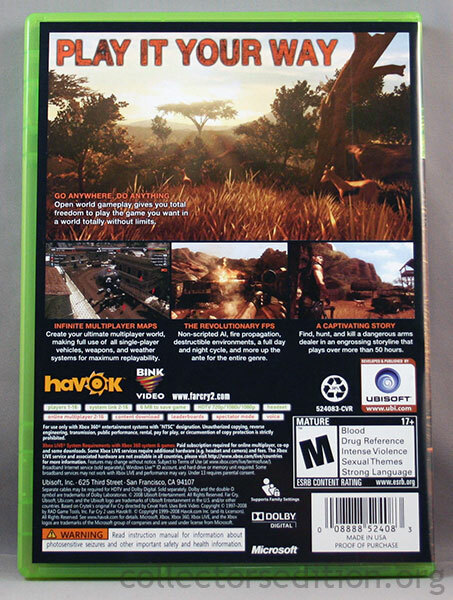 This information was last updated on Thursday, March 19th, 2009 at 11:39 am by .